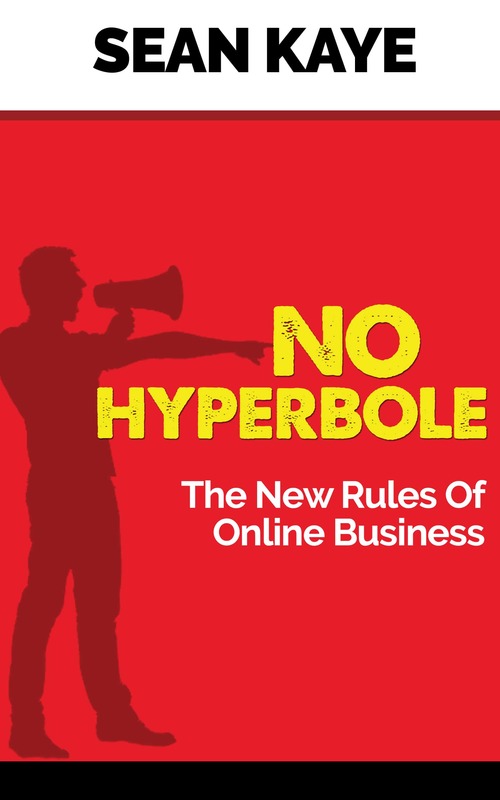 It’s been an interesting day because I was working from home for a few reasons and that gave me a bit of spare bandwidth to see what was happening with the sales of my new book, “No Hyperbole: The New Rules of Online Business“. Because it’s new it can sometimes take a few days for Amazon to get all of the links and things squared away, so I had a few people in Australia and other places say that it wasn’t available in their region. I would then go to their local Amazon store, find the link and send it to them so they could buy (and hopefully leave me a nice review). Ok, I have to admit, when I noticed that the book was ranking #3 and #5 across a few fairly significant subcategories, it made me smile. Then I thought that Amazon Australia must not sell a lot of books – LOL. Anyway, buy the book, I think you’ll enjoy it. In late November 2017, I decided to make some pretty substantial changes to the Casual Marketer business. As you know, I shut down the monthly physical newsletter product and thus, pretty much decimated the revenue for the business – it went from a nice small six-figure business to a small five-figure business with that one decision. My plan, which admittedly is still evolving, was to shift towards more of an information product business. The evolution that’s going on in my thinking is that the business is now going to be a “publishing” business across multiple modalities – print, digital and audio. That got me thinking about the Paradox of the Ship of Theseus. If you’re not familiar with the Ship of Theseus, it’s a thought experiment that the ancient Greek philosophers like Plato and Plutarch used to ponder. Basically, it goes a bit like this. An old ship has returned to port after many battles at sea. Over time, the ship has had every plank, every oar, every nail and every beam removed and replaced with stronger, newer versions. Is it the same ship if everything has been replaced over time? Or is it an entirely new ship BECAUSE everything has been replaced? It’s a bit of a mind twister and it calls into question our own understanding of identity and what modern philosophers refer to as spatio-temporal continuity, which is a fancy way of thinking about the way something moves through space and time. If you are new to these posts, you’ll not know this, but I like philosophy and have a soft spot for smart old Greek and Italian philosophers. While this person was talking to me, I was sitting there sipping my coffee and pondering the paradox that they’d just presented me with. I was probably a pretty bad coffee companion because I was seriously lost in my own little world. So was my business the same or is it a completely new business? 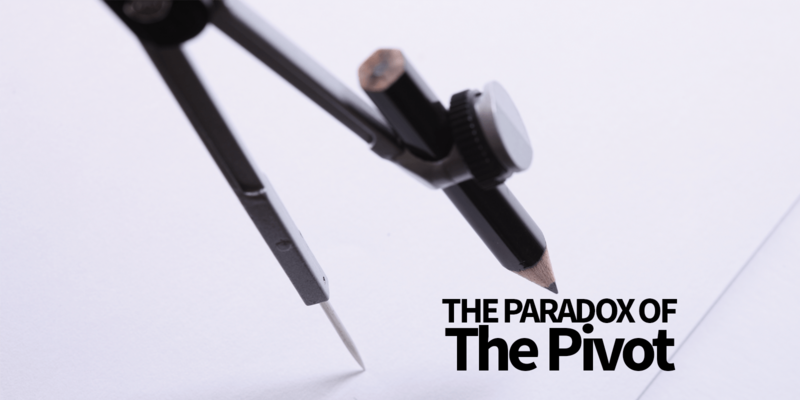 Here’s another wrinkle to this paradox that I’ve recently heard Malcolm Gladwell talk about on a podcast. Now, imagine the ship is in a museum and some thieves want to steal it. Every night they go into the museum and they take out one plank or one piece of wood and they replace it with a forged piece. They do this slowly over time so nobody will notice that the original is being stolen, bit by bit. Eventually, they have stolen the final piece and they return to the warehouse they have the pieces stored in and they re-assemble the ship from the stolen parts. Which ship is the original? The one in the museum or the one in the warehouse? Has the museum ship maintained spatio-temporal continuity even though it has been replaced in its entirety? Is the ship in the warehouse the original because, well, it is constituted from all of the original pieces? That’s a fun spin on the paradox, I enjoyed that one a great deal. But why is this important to your business? Strangely enough, I think it’s pretty important and not just some nonsensical thought experiment. I’ve seen a bunch of people get to a point in their business where it’s either not working, it’s gone as far as it can go or they’ve just gotten bored. At this point, people’s mind start wandering off thinking about new businesses or things they can do. They then create a “whole new business”. Interestingly, in about 80% of the cases, the “new” business does much of the same stuff that the old one did, with a few minor variations or additions. By changing domains, getting a new logo and calling your business something new, have you really created a new business? Is it not just the old business with a few new pieces and a new name? If the person at the centre of the business is the same, does it really matter if you change everything else? Maybe. I don’t know. That’s why it’s a paradox. I think people are pretty quick to start new businesses and rename things because it means they don’t have to put the hard work in. I got bored with what I was doing, so rather than dump it and start again, I set a new course and created a challenge for myself to do something different. My point in all this is, make sure you’re changing the stuff that matters. If you’re broken, then fix you. If you’re not enjoying the products, fix the products. Don’t just slap a new coat of paint on the same leaky ship and expect it to go out and win the America’s Cup.